Ok it's time for another #techniquethursday and in the spirit of keeping things simple in January I'm keeping it simple but fun with a technique called rock and roll. 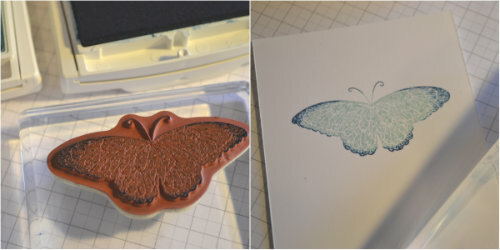 What you'll need for this is a good solid stamp (not something with just outlines that you would use for water colouring), 2 ink pads (one light & one dark), and card to practice on. There are two simple steps in the rock and roll technique. First ink you stamp completely in the lighter colour ink pad. Second, using a rolling motion press the edges of the stamp against the darker colour ink pad, avoiding the centre of the stamp. It's important to always use the lighter colour first to avoid discolouring your ink pads. Then stamp your image and admire the unique blended image you've created. 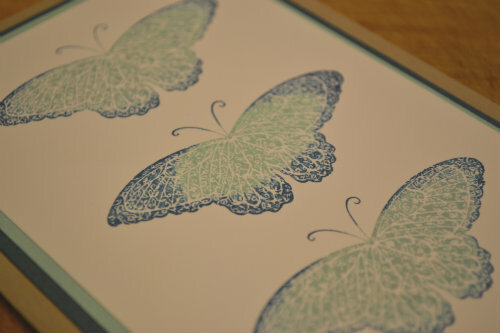 It's a good idea to practice stamping on a scrap piece of paper or card a few times until you get the effect you like. The wonderful thing about this technique is that not two images will the same. So no two cards will ever be identical. 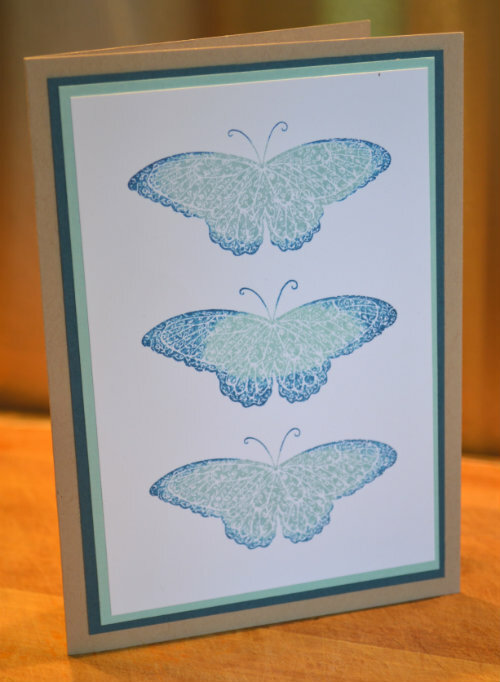 Here's my completed card and a close up of the butterflies. 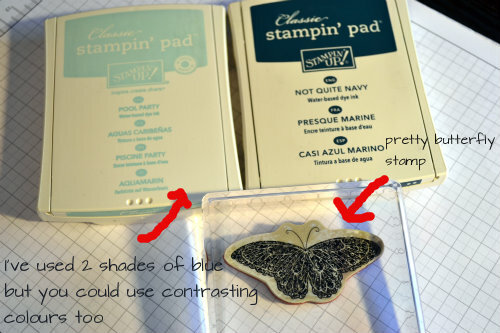 It's a great technique for large detailed stamps as it adds extra colour and depth to the stamped image. And the possibilities are endless on how you can vary it. 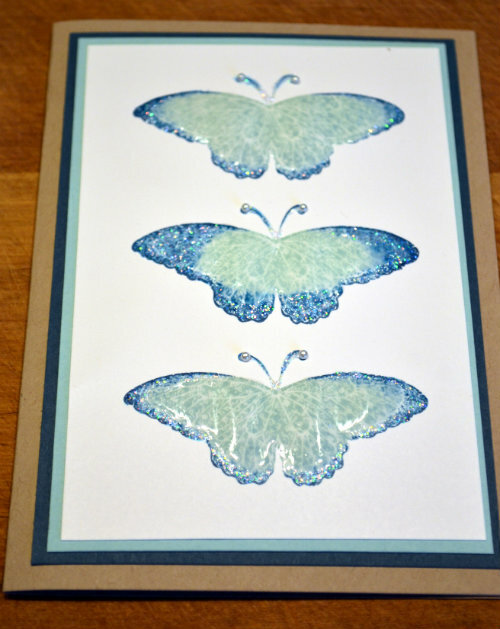 Why not try contrasting colours or repeated images of a variety of colours. 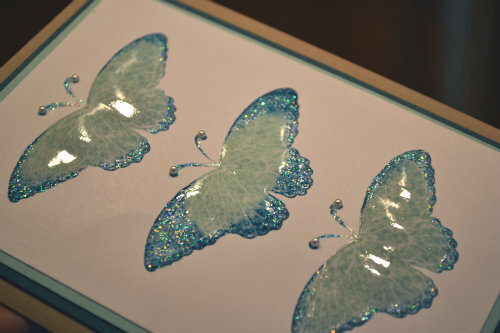 For extra oomph add a thin layer of crystal effects & some glitter at the edges to give your image a beautiful glossy look.